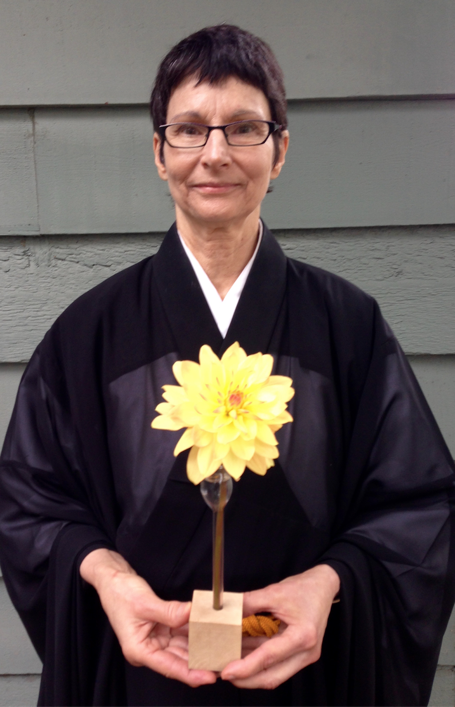 Genmyo Jana Zeedyk has been the resident priest and spiritual guide of the Anchorage Zen Community since 2012. In the United States, she studied with Robert Aitken’s Diamond Sangha (a lay lineage) and she teaches in that tradition. She was ordained as a priest in Japan. Genmyo gives Dharma talks several Sundays a month and is available for dokusan during the monthly zazen reteat. If you would like to contact Genmyo, send her an email to genmyo@alaska-zen.org or call 907-563-4936.